After a display as good as anything we have seen from Miguel Cotto in his storied career it seems that the world is his oyster. Not only has he lined up a potential mega bout with either Canelo Alvarez or Floyd Mayweather, he can make a justifiable claim to have a very solid chance against either of those opponents. 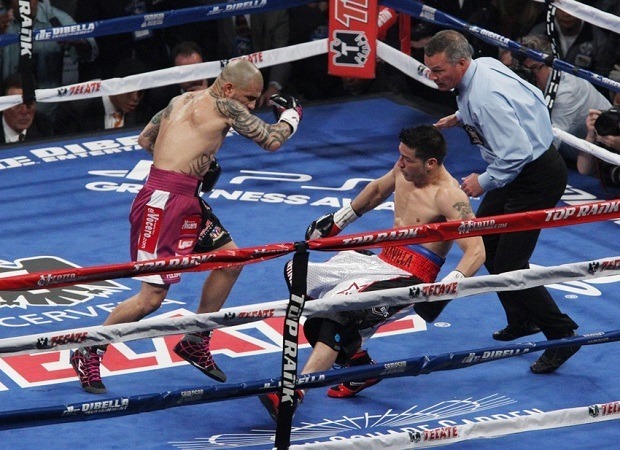 Cotto was both fast and powerful in his utter dismantling of Sergio Martinez. His punches were crisp and accurate. He carried a threat to both body and head. It seems hr has found a perfect partner in Freddie Roach that has brought out the best of his offensive output. For Sergio, it was a painful night. He looked old and fought like a man with his best days clearly behind him. The problem he now faces is that even if he takes another fight against an opponent at the lower end of the division he would struggle with a similar performance. Martin Murray would be delighted to get a second bite at Martinez in his current condition. No fan would begrudge Martinez stepping aside after all he has achieved. 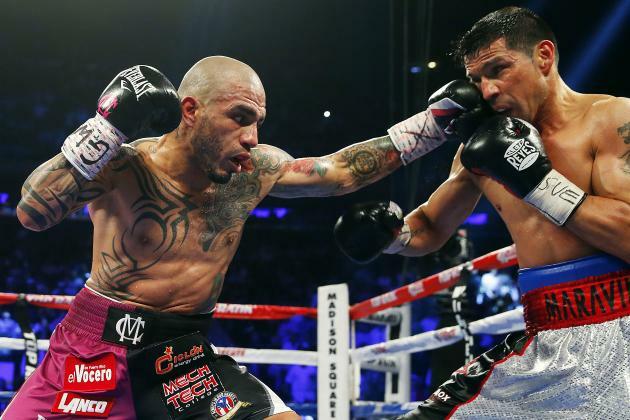 For Cotto, he has captured the interest of world boxing yet again and proved many, including me, wrong. Lets not get carried away but frankly a Canelo Cotto bout would be incredible and who would back against this Cotto!